I just turned 50. Yeah, that’s right – 50. Hitting this benchmark in life, has made me take a look at where I am at, where I am going, and if I am on course to achieve my goals. The fact is, I am not, and I realized that I need to do something radical to change my direction in order to meet my goals. I made my first post on the LumberJock community in May 2007 and I posted my first YouTube video at the end of December 2008. In both cases I was hooked from the beginning. I really love sharing the knowledge and experience I have gained as a contractor, designer, and craftsman with the woodworking community. Ever since those first posts, I have continued to try sharing be it by blog or by video. I love doing both, but in both cases, time is too short to do either. My priority, as with anybody, is to make a living. So that means paying clients are my priority, even above family as I have sacrificed a lot of weekends with my family to meet deadlines and fulfill contracts. My weeks are long, an average week is 60-65 hours and they get longer, much longer, as deadlines loom near. Any remaining time goes to family, and anything left then is either for sleep or sharing with woodworkers. I have tried a number of times to use my client’s projects as the subject matter for my blogs and to share the lessons of the project challenges with the woodworking community. The lesson I have learned over and over is that they are 2 separate worlds that collide in a horrible way and I lose money when I do it. If I want to make a living as a contractor and professional woodworker, I have to focus on that. If I want to share my woodworking knowledge and experience with woodworkers, that is completely separate and cannot be mixed with the other because it only slows me down and causes financial loss. I am closing my doors as a contractor and opening my doors as the American Craftsman Shop Class to the woodworking community. I am currently finishing up a couple of client projects at this time and I have withdrawn from some projects that I was not obligated by contract. I am effectively shutting down as a contractor. It would have been a lot easier if I was employed somewhere, I could have just walked out. Honestly, I wish I could have done that since closing out my business is a drawn out process. 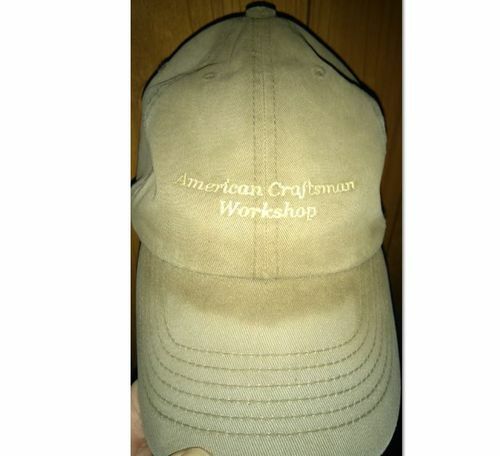 As I gear down my business as a contractor, I am gearing up as the American Craftsman Workshop and to set up the American Craftsman Shop Class. 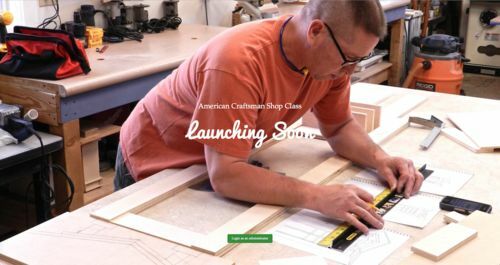 I made some changes to strengthen the American Craftsman Workshop as a brand and I have also been working to set up the platform that will allow me to have an online school. For the school I will be able to upload video, PDF files, and other digital files such as Sketchup or CAD to create a course and project lessons. The goal is to provide products that woodworkers can purchase. This makes woodworkers my priority as they become my paying client and it allows me to focus on them. If you are a woodworker, then this means you are about to become my priority! Through the support of the woodworking community I will be able to offer both free content and paid content such as project instruction and plans. And – I will be able to become consistently active in the woodworking community sharing knowledge and giving support. Besides the admin changes and restructuring changes I have been working on, I have also been developing plans for some of the projects. So things are well under way. You can check out the new Shop Class page at my site. I wish you much success with this new endevour Todd! You have a gift for presenting and explaining so I look forward to watching your school succeed. I wish you well in your new focus and hope it’s a great success. I will keep an eye open for you new classes. oh no the mid life crisis has hit…lol…just kidding todd, ive followed you ever since i came to lumberjocks and i have found you to be very knowledgeable about our woodworking craft, your ability to teach and to show how a certain project can be achieved is above and beyond normal expectations, i wish you the very best and i know how much of a hard worker you are and that if this success would depend on your hard work, then this will be one of the best places for woodworkers to come to expand there skills….i look forward to seeing you begin in your new journey. Joe Lyddon – you realize I’m not going anywhere, right? That I am going to be more available to the woodworking community with this move? Grizzman – Ya I openly admit it is a mid-life crisis. But it will benefit us all! Wait till you get to my age Todd, 70 next year. Iv’e thought about crossing the international date line back and forth so it doesn’t happen LOL. personally in the past so I will be looking forward to seeing what you will be offering. Good luck buddy! Well, Todd, that was sure a surprise in my e-mail box. What ever you do I know you will do it to the best of your abilities which are considerable. I wouldn’t call it a mid-life crisis, more of a course adjustment. I, at 68, too decided to make a change. After deliberating all summer, I decided to have a web site built for my leather business. I also purchased quite a few new machines and began to build a lot of goods. We got the sight up a week ago and then found out it will be 4 months until Google gets it mapped. Onward, onward. With your skills and personality I’m sure you will have more clients in the woodworking community than any one else. Go get ‘em, Tiger. Sounds like you have quite an interesting road ahead of you Todd. I have really appreciated the information that you are always so generous with, and I’m glad to hear that your plans will keep you involved with all of us. I’ll also thank you for an item that you provided to me years ago. It has helped to protect my head from countless minor injuries, and I have mentally thanked you each time (and will continue to do so) . . . I wish you only the best of luck and prosperity in your new endeavours. Druid – That is my favorite way to see a hat! Well-worn! This. Angle – Man it is good to see you again! So many guys chiming in here and it feels like I am meeting ‘the gang’ again. It is definitely time to turn a new page and start doing something else, the remodeling is getting hard on me in so many ways and I am just done with it. Time to take what I have learned and pass it on to the next in line. I also have watched some of your vids and enjoyed doing so. Best of luck in your new endeavor ! I can see this as a difficult decision. I wish you the best as things unfold and you work out the details. Are you going to offer any classes in house/shop or are you going to try to stay mainly as online offerings? I know that would ease up insurance costs. -- Gary; Marysville, MI...Involve your children in your projects as much as possible, the return is priceless. Sir, I wish you the best of luck. Woodworking is a hands on subject I am wondering how you plan to handle questions? A live in-person instructor can walk over to my bench and observe me and provide feedback (change your stance like this, hold the tool this way, move your arms and hips like this, ...) but how can you provide that level of feedback / help? WoodNSawdust – There is no comparison between video instruction and in-person, hands-on instruction. The latter is certainly more effective and powerful for learning. However it is financially limiting in that it is very expensive to pay me to teach personally and I would only be able to help a handful of people at a time or a roomful at best. Video has it’s long distance limitations, but certainly is proven to work, and that is the endeavor I shall pursue.